With over 340 days of sunshine year-round, Southwest Florida is an outdoor enthusiasts’ paradise! Royal Shell Port Sanibel Marina should be your first stop for a day of fun in the sun in Greater Fort Myers. 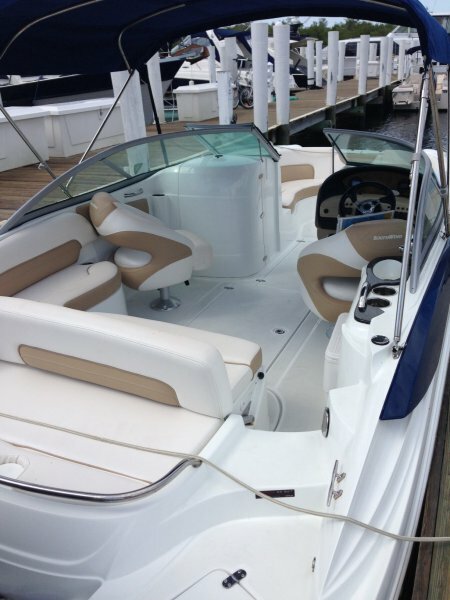 Our Fun in the Sun Rentals are a great way to spend some time on the water. You can explore on your own in our kayaks and canoes through Larry’s Lagoon where you may spot sea otters, manatees, dolphins and birds in their natural habitats. Want to stay on dry land? Explore the mangrove ecosystem by foot on the Port Sanibel Nature Boardwalk — free for all marina guests. …with the Port Sanibel Marina Fishing Charter Captains! Offering private charters for the finest saltwater fishing in SW Florida, our professional charter captains know the waters and migration habits of fish in the area. Spend a day fishing, or check out our fishing/shelling combo packages! Ride off into the sunset! Interested in a relaxing sunset boat cruise? Looking for a dolphin tour? Check out the variety of Boat Cruises and Tours that leave from Royal Shell Port Sanibel Marina.